In this guide, we will see how to convert long to int with examples. Since long is larger data type than int, we need to explicitly perform type casting for the conversion. 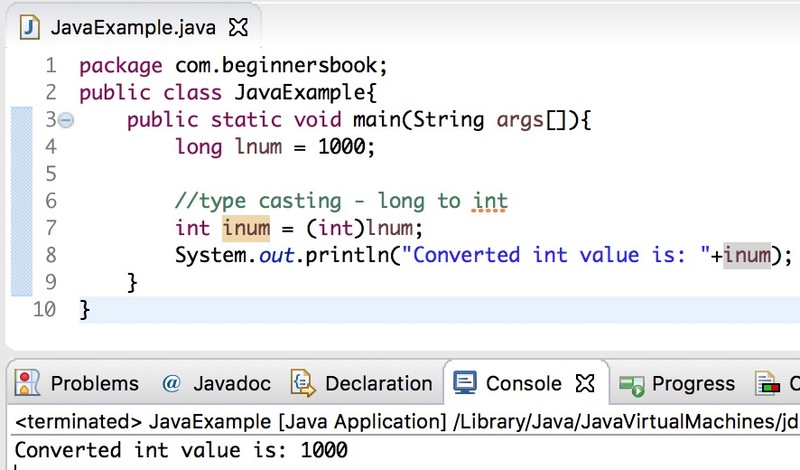 In the following example we are converting long data type to int data type using explicit typecasting. Here we have a variable lnum of long data type and we are converting the value of it into an int value which we are storing in the variable inum of int data type. 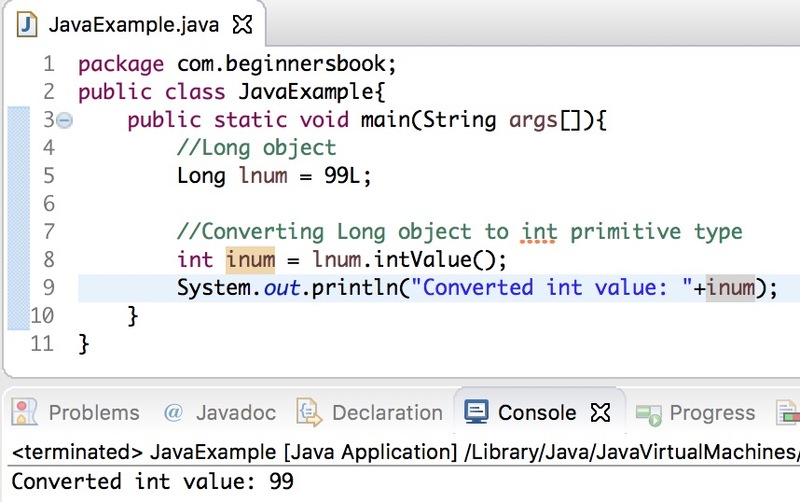 In the following example, we have a Long object lnum and we are converting it into an int primitive type using intValue() method of Long class.